Improving your credit scores can save you money and open new financial doors. Higher scores can increase your chances of being approved for credit cards and personal loans. In addition to getting lower interest rates on those credit lines. Your credit can also affect other areas of your life. Such as your ability to rent an apartment or get a job. Before diving into different ways to raise your credit scores, it can be helpful to understand what factors go into determining your credit scores. A FICO score is a type of credit score created by the Fair Isaac Corporation. Lenders use borrowers’ FICO scores along with other details on borrowers’ credit reports to assess credit risk and determine whether to extend credit. The standard FICO Score ranges from 300 to 850. A credit score is made up of five components. Payment history (35 percent), balances carried (30 percent), credit history (15 percent), mix of accounts (10 percent), and inquiries (10 percent). •	Pay your bills on time. Your payment history makes up the biggest part of your credit score. Delinquent payments and collections can have a major negative impact on a credit score. •	Pay off debt rather than moving it around. 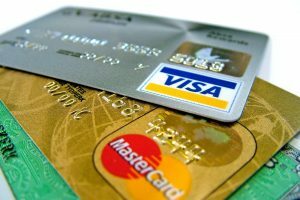 Do not close unused cards as a short-term strategy to improve your credit score. Owing the same amount but having fewer open accounts may lower your credit score. •	Use less than 30 percent of your available revolving credit. For example, if you have a $10,000 credit limit on a credit card, you never want to carry a balance over $3,000 because it can hurt your credit score. Never, ever, exceed your limit. •	Length of time using your credit card. Older credit accounts with good credit history actually help you. It shows you managed credit well for a particular amount of time. Good credit management leads to higher credit scores, which in turn lowers your cost to borrow. Living within your means, using debt wisely and paying all bills, including credit card minimum payments on time, every time are smart financial moves. They help improve your credit score, reduce the amount you pay for the money you borrow and put more money in your pocket to save and invest. If you need help fixing your credit but do not want to go it alone, we can help. Call (203)291-9465 for a free consultation.